Entertainment and Fashion Galore: Does Pearl Make Tears? True Or False! Does Pearl Make Tears? True Or False! Folks, I posted this because of my officemate. Last day she went to the bank to get her new ATM card and when she was at the counter area the teller ask her why does she wore pearl earrings? She wonder why? 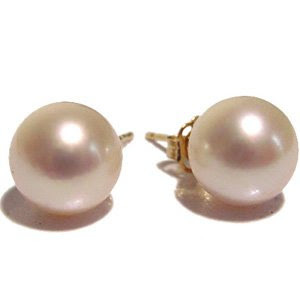 Then the friendly teller told her that in her belief pearl earrings bring tears for those single ladies only when it comes to love life…hahaha! Crazy, I don’t believed at all but my mate want opinions from others since she’s still single too, she actually removed her earrings after hearing that. Lol! 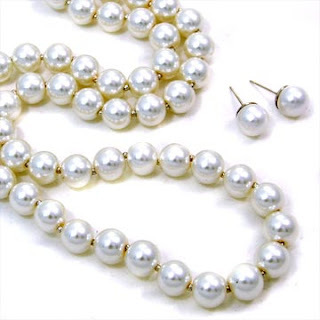 The story was : That teller received a gift from her boyfriend a set of pearl necklace, bracelet and earrings. After two weeks she found out that her boyfriend has other woman. That’s why she’s suspected that those pearl brings tears to her life. For me it is not the pearl who bring tears to herself but her boyfriend. Lol! Just for fun story.. Have a good Friday. This entry was posted on 6:40 PM and is filed under Friday Fun , Pearl , Pearl Jewelries , Pearl Pictures , Personal . You can follow any responses to this entry through the RSS 2.0 feed. You can leave a response, or trackback from your own site. Omg! Thanks sisters...for all your comment. I am talking to my mate now, i let her read your comments hahah! Lola Cai: maau nalang adtong single pako wala ko suot ug pearl kay wala man ko hehehe..
Sis Chie: Pareha jud ta hehehe it's her bf jud. Agree with you sis... and maybe they are not meant for each other. She can still find best one for her. Mami Lulu: Mami ganahan diay ka ug pearl... daghan pearl dire pinas sa Kulturang Pilipino. One day mami pag datu nako i ampo lang hehhe..
Sis Kat: sis, sayang ang box lang ang nakahimus sa imung perlas. hehehe! pero cge man tali ka adto mga sosyalan galore party... isuot lang pud usahay bisan gud ordinary day pede man na. Ako gani usahay pag naa ko topak magsuot ko ug alahas bisan sa blay lang ko hahaha! Mas weired pako ni mami Lu... hahaha! Best of all thanks for all your comments ladies... Truly appreciated. Happy weekend. Hi! i personally dis agree on that belief, coz what had happen to that particular teller does not mean that will happen to anybody else, however i was once heard that superstitious belief from my aunts, she told us not to wear any pearl just like what the teller told ur friend that it will make a single lady cry a river or kinda experience heart being broken by any man...im not sure if that's true but i indeed cried a river in fact maybe an ocean coz no matter what she said i still kept wearing pearls coz i love pearls but on d other hand i have to realize that you may neither wear or not a pearl certain individual does go through life such as being able to experience pain and tears,,,so i still believe that pearls has nothing to do with any single ladies destiny nor misfortune....korek???? hello anne. kasabihan sa atin yan. sabi nila, if you are single and you are wearing pearl earrings, necklace or whatever... di ka raw makapag aasawa. hmmm. di naman siguro true yun! ay ay... exlinks din tayo with my new blog. let me know kung oks sa iyo ha.